StressCare is a non-profit organization founded by David Weinberg in 1996. We offer practical tools and a proven path to greater health and well-being in our 8-Week MBSR, Mindfulness Weekend, Ongoing Practice, and Mindfulness 1-on-1 programs. People seeking relief from stress and pain come to our classes from all over the San Francisco Bay Area, including Alameda County, Contra Costa County and San Francisco. Classes are held in Central Berkeley, Downtown Orinda, and Walnut Creek. Our work is based on Jon Kabat-Zinn’s pioneering MBSR program (mindfulness-based stress reduction) which he established at the University of Massachusetts Medical Center in 1979. MBSR has a 40-year published record of successfully addressing the enormous problem of stress-related illness, un-wellness, and the accompanying loss of hope, meaning and agency that has been so evident, and so difficult to treat, in the modern healthcare system. StressCare is a nonprofit 501(c)(3) organization in the San Francisco East Bay with a board of directors comprised of Bay Area health care providers. David Weinberg and Karin Pfluger are StressCare’s co-directors and lead teachers. StressCare is a trusted provider of MBSR in the San Francisco East Bay, advancing a vision of mindfulness training as essential in healthcare and self-care since its founding in 1996. Our 8-Week Courses are approved for 25 live hours of Continuing Education Credit (CE) for RNs, MFTs, LCSWs and Licensed Psychologists. Get information on our For Providers page. We welcome the participation of people from all walks of life. StressCare programs are open to people of any race, class, ethnicity, national origin, gender identity, sexual orientation, and physical ability. We are grateful for the participation and support of our alumni and the wider community of people dedicated to mindfulness as a way of being. StressCare offers three levels of tuition based on household income, for each of our 8-Week Courses, Mindfulness Weekend and Ongoing Practice programs. We aim to offer MBSR at reasonable cost to as many people as possible. Tuition assistance is available for individuals with very low income. No one will be turned away due to inability to pay. David Weinberg, MPA, teaches StressCare 8-Week MBSR, Mindfulness Weekend, Ongoing Practice, and ACT 1-on-1 programs. 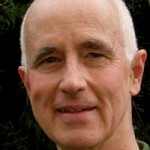 He is the guiding teacher of Ocean Sangha, a Zen practice group for MBSR alumni. He leads retreats for physicians, physician-referred patients, and the general public for learning basic and advanced methods for stress reduction. David is known for his humor, insight and compassion. David’s page. 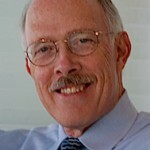 John S. Edelen, MD, (Jack Edelen), is a practicing cardiologist and former Chief of Medicine at Alta Bates Summit Medical Center in Berkeley. Jack practices meditation regularly and is a tireless advocate for MBSR as a vital part of total health care for everyone. He co-leads StressCare retreats and makes presentations to physician groups and others. He recommends this form of stress reduction to his patients, colleagues, and fellow caregivers. 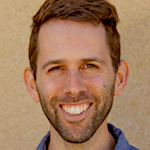 StressCare is delighted to introduce MBSR teacher Adam Moskowitz, who will be leading the Spring 8-Week Course in Orinda. Adam facilitates mindfulness sessions, courses, workshops, and retreats in the San Francisco Bay Area. Adam was a schoolteacher for ten years, and has led mindfulness classes for over a thousand adolescents. He conducts mindfulness trainings for educators to support their lives, teaching, and the lives of their students. Adam also teaches mindfulness in office settings, and to the general public. Engaging kids and adults to connect within is his favorite thing to do. 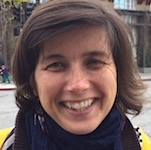 Please welcome our MBSR teaching intern, Segolene Doutriaux. 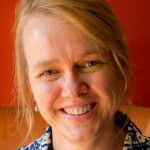 Sego will be assisting Karin Pfluger in the Spring 8-Week Course in Berkeley. We are committed to excellence in teaching, deep respect for our students, and profound confidence in everyone's capacities for healing and growth. To help people in all walks of life get the tools they need to reduce stress and pain and to live a full, rewarding life.